AP Human Geography - Delaney's Project: Why haven't we gotten rid of malaria? The spread of malaria has not been stopped due to cultural, political, and scientif﻿ic issues. There are over 3 million cases of malaria each year, and half a million deaths. We have known how to cure malaria for centuries, so why is malaria still one of the most deadly diseases in the world today? Malaria is a very complicated disease. The virus is carried by 12 species of mosquitos, which makes it difficult to protect people from exposure of these insects. The virus shape-shifts seven times within it's life cycle, and each form is very complex. Children under 5 years old are the most vulnerable to the disease. 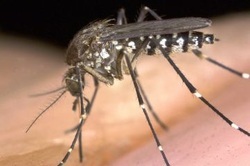 There were an estimated 660,000 deaths caused by malaria in 2010. Approximately 86% of these deaths were children under 5 years. Malaria occurs in the poorest places on Earth, particularly in Africa. This is because poorer people are less likely to have electricity and therefor spend most time outside. In these places there are not any clinics for people to visit and little to no infrastructure to transport medications. Africa especially is caught in a cycle of poverty and sickness. Poverty causes malaria, but malaria is also causing poverty. In Ghana, Malaria treatment costs up to a quarter of household income for poorer households. Treating the disease takes money that could otherwise have been spent on other essentials such as food and clothing. Countries that have the most malaria tend to care about it the least. In these places, malaria is so common that the people see it as something similar to the common cold and flu. Political leaders are not able to do anything about this problem if the people are not concerned about the issue at hand. Most attacks on malaria has come from outside of places with malaria. will malaria be stopped in the future? According to The Telegraph, Mark Honigsbaum says, "Huge investment in prevention in recent years has raised hopes that deaths from the disease could be almost eradicated by 2015. But politics, poverty, and corruption will always get in the way." I decided to research this topic because I was interested in why people in our country are not doing enough to help the people dying from this disease. I now realize that it isn't as easy as I once thought, however I still believe that there is more that we can do. Malaria is a disease that causes poverty and decreases chance of development in the countries affected by malaria. Physical geography determinds where malaria occurs.